What improves or worsens your multiple sclerosis (MS) symptoms may not be the same as what affects someone else. Cold weather is a great example of that. Cold temperatures can ease or prevent MS symptoms in those who experience Uhtoff's phenomenon—the worsening of neurological symptoms (or even triggering of full-blown MS exacerbation) due to increased body temperature. For many others, however, being cold can impact nerves and muscle activity, leading to pain and mobility challenges. Feel your best by thinking of all of the possible factors that can have an effect on your MS symptoms, for better or for worse. Here are some related to cold temperatures (and seasonal changes) that are worth being aware of. Cold temperatures can alter muscle and nerve activity. And when you have MS, the nerves in your brain, spine, and eyes may already be a bit slowed down. Adding the effects of cold body temperature can cause this altered nerve activity to manifest with cramping, stiffness, tightness, and spasticity. MS is more common in regions with cold climates, with the highest per capita incidence among Canadians and northern Europeans. And within these cold-climate regions, MS is more common among people who descended from northern European backgrounds. Experts agree that there are genetic and environmental components for this trend. Staying away from cold temperatures can be challenging at times. If your mobility is limited, you might not easily be able to reach heat/air conditioning controls, for example, or your desire to warm things up may be overruled by those around you who prefer to keep things cool. You might also live in a climate that isn't as friendly to you and your disease as you'd like. In most geographic regions, the temperature outside may change drastically throughout the day. And indoors, most workplace offices are cooled to low temperatures with AC. Since you might go from a cold building to a hot car in minutes, you can prepare yourself for comfort by having layers handy for the variety of temperatures you may encounter. If your mobility is limited, consider getting a remote to control the thermostat, a handheld fan, or a heating pad so you can easily control both your environmental and body temperatures. Go outside during the coolest part of a hot day or the warmest part of a cold day and soak in a bit of warmth. If you use a wheelchair, a walker, or a cane, getting outside safely is an important part of your day. Because overcompensating with excessive heat can exacerbate your MS, maintaining a moderate temperature is especially important. Very hot baths or showers, or a cozy fireplace can seem like a natural way to deal with the cold, but be careful: Extreme heat is not your friend either. In the end, err on the side of moderation. If cold-induced pain or motor limitations are interfering with your ability to function, your doctor might prescribe a muscle relaxant or a pain medication for you to take during months when you experience these symptoms. You can take these medications on an everyday schedule to prevent cramping and its associated pain, or you can take them as needed when you feel the cramping coming on. Your doctor will give you instructions based on your specific situation. Cold weather can certainly have an impact on your MS that's related to temperature alone. But there are other ways that colder seasons can affect you, too. As you consider the above, also think about how cold temperatures might impact your behaviors and how that can play into how you feel. Sunlight helps your body make active vitamin D. Limited sunlight (say, from avoiding your daily walks because it's too cold outside) puts you at risk of vitamin D deficiency, which can make MS symptoms worse and may even trigger a relapse. Depression is more common during cold months, and this is related to sunlight exposure/vitamin D deficiency, a lack of outdoor activity, and some unexplained factors. MS and depression are closely related. While MS can worsen or trigger depression, depression can also make it hard for you to function at your best. Speak to your doctor if you experience symptoms of depression. 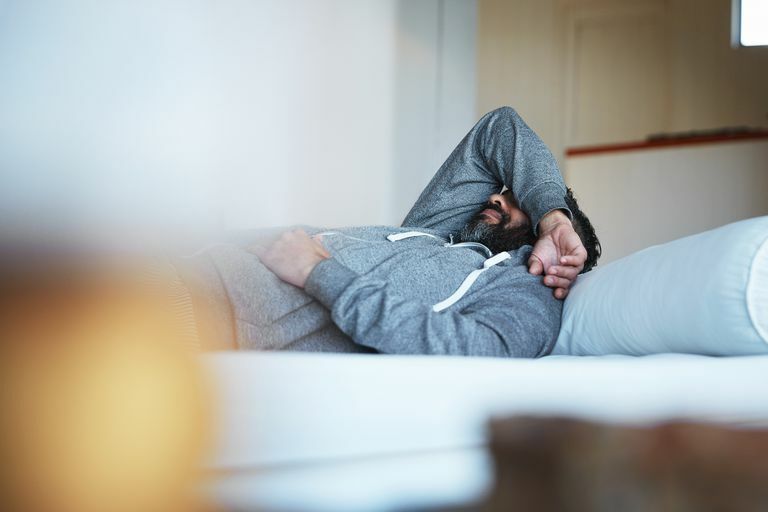 Though many overlap with those of MS, such as fatigue and sleep disturbances, it's important that a professional weigh in on why you're feeling the way you are. Infections, which are a known trigger of MS relapses, are more common during winter months. Even a few days of the flu can trigger a major MS exacerbation, requiring hospitalization and treatment with a course of intravenous (IV) steroids. If your seasonal allergies are at their worst during the colder winter or fall months, your MS may be more difficult to cope with at that time too. Bezzini D, Battaglia MA. Multiple Sclerosis Epidemiology in Europe. Adv Exp Med Biol. 2017;958:141-159. doi: 10.1007/978-3-319-47861-6_9. Langer-Gould A, Lucas R, Xiang AH, Chen LH, Wu J, Gonzalez E. et al.MS Sunshine Study: Sun Exposure But Not Vitamin D Is Associated with Multiple Sclerosis Risk in Blacks and Hispanics. Nutrients. 2018 Feb 27;10(3). pii: E268. doi: 10.3390/nu10030268. Rivas-Rodríguez E, Amezcua L. Ethnic Considerations and Multiple Sclerosis Disease Variability in the United States. Neurol Clin. 2018 Feb;36(1):151-162. doi: 10.1016/j.ncl.2017.08.007.